It is a device that almost was. 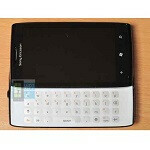 Sony Ericsson almost mixed it up with HTC, Samsung and Nokia during the release that was Windows Phone 7. The company was mentioned as a manufacturer partner at MWC 2010, but as we now know, that developed into almost nothing. It is a Windows Phone that never was. Packing a 2010 build of Windows Phone 7, apparently 7 of these prototypes were built and now we see one of them has made it to the auction block of eBay. The seller is in The Netherlands, but is willing to ship internationally (although only within Europe as it is only a tri-band GSM device, so the seller is not willing to ship to the US, but we be money is a powerful persuasion tool). The bidding at the time of this writing was at about €107 ($140). What do you get if you win the auction? Well not all the specifications are known, but the camera is 8MP, it has 16GB of storage and Julie is unlocked. Like other Windows Phone devices from that time it is probably running a 1GHz Qualcomm CPU. The device is in working condition, but we can see how it might hold limited appeal (do not expect any OS updates...ever). However, if you truly want to be the only kid on the block, here is one angle to look at. If you are interested, click the eBay source link below. Sony Ericcson Windows Phone "Jolie"
You mean way eariler than Lumia series. Is the phone working properly? When Sony was with erricson, they made unique great looking devices. Now its all copycats of other devices on the market. They put full support for Firefox OS which has no market establishment they said they look into WP when there's one. What does that tell you about Sony, you can't trust them. Never bought a Sony product almost 10 years. It's not about trust. Windows Phone isn't worth Sony's investments, hence they ignored it. As simple as that. That's an interesting theory, StreetNerd, and potentially accurate. And/or Microsoft wouldn't let them put any Playstation stuff on their Xbox phones? Streetnerd and -box- you two probably nailed it! I like the look of this phone...the look of the back plate is very nice. Try to call into support at Microsoft or Sony about this phone....poor phone operator would be lost. "Yes, I am having problem with my Sony Ericsson Jolie"......Operator "w..t..f"
@lee480... What investment is there in Firefox? Its called bunch of BS. Sad that Sony (Ericsson) didn't go through with it. I wish Sony would make a Windows Phone, but I guess since Microsoft is competition in the gaming realm, they can't.